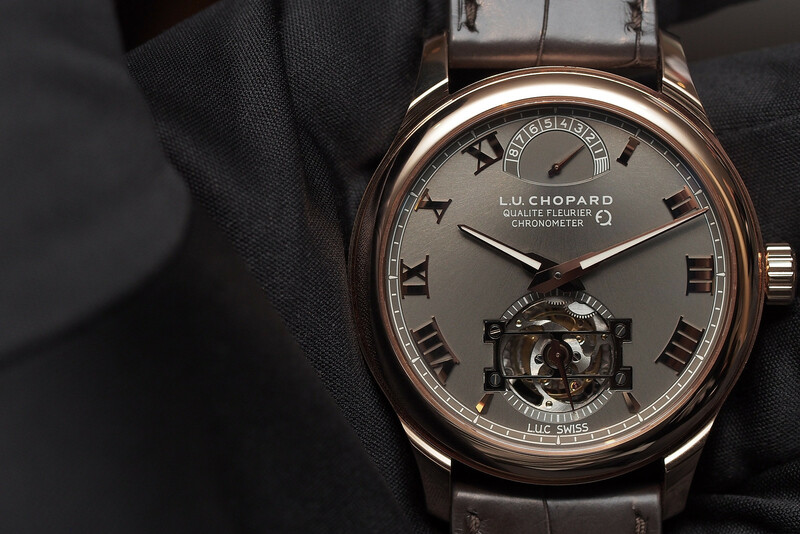 The L.U.C Tourbillon Qualité Fleurier Fairmined is presented in a 43 diameter fully polished rose gold case. It has a gray sunburst dial, that is contrasted by polished rose gold applied Roman numeral hour markers and rose gold hour and minute hands. 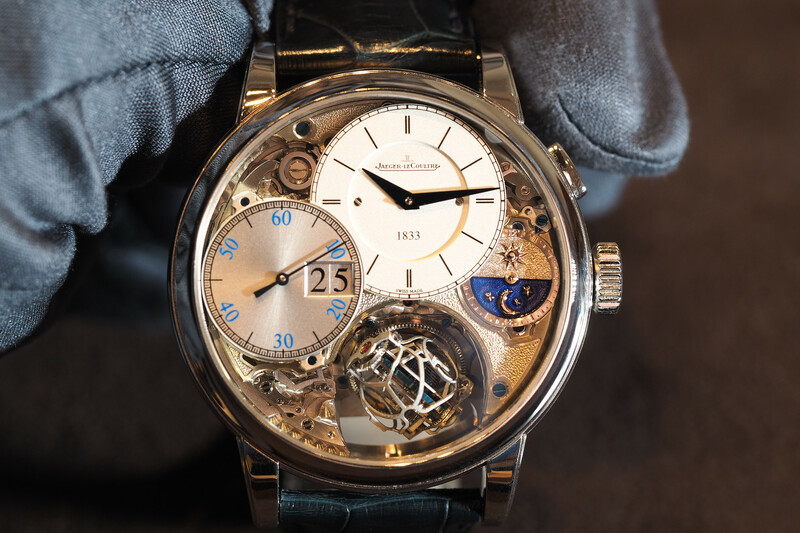 An opening at 6 o’clock displays the tourbillon. 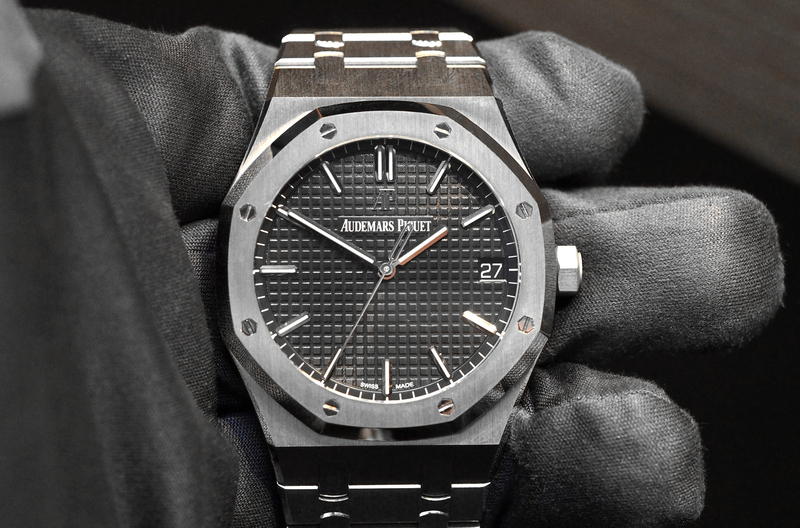 At 12 o’clock is a 9-day power reserve indicator (216-hours). 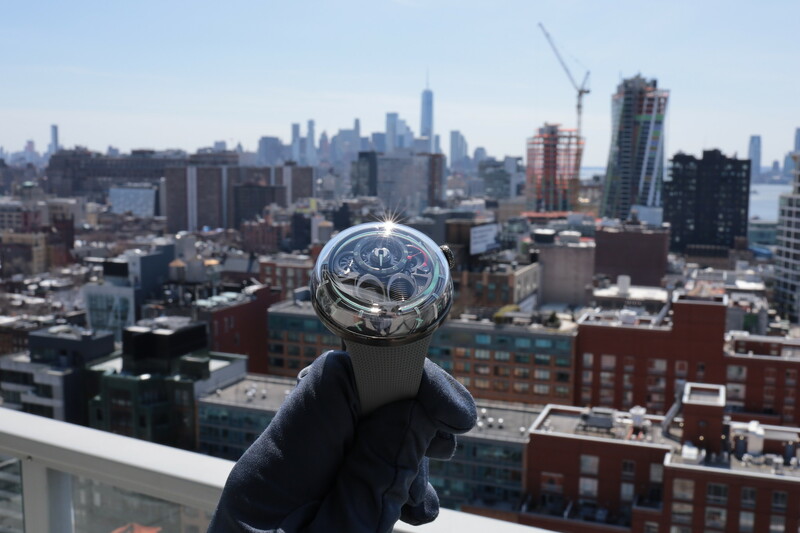 The watch is powered by a L.U.C. 02.13-L1 manually wound caliber that has manually finished Geneva stripes on the bridges, and perlage on the main plate, all visible through a clear caseback. It is available in a limited series of 25 pieces. The alligator strap is CITES certified, which according to the official website is an international agreement between governments that aims to ensure that international trade in specimens of wild animals and plants does not threaten their survival. It is, of course, a good thing to see that there is some kind of protection put in place to preserve the existence of endangered animals. However, the sustainability of something like “Fairmined gold”, which has a premium added to it, is a totally different story. If it is truly the best way to source gold, then I would expect that we will eventually see all gold Chopard watches made from this type of “ethically” mined gold.